Just like the people going to Consol Energy Center and enjoying Burgatory, burger-rivals BRGR have opened up a stand inside PNC Park in a prime location behind homeplate section 115. 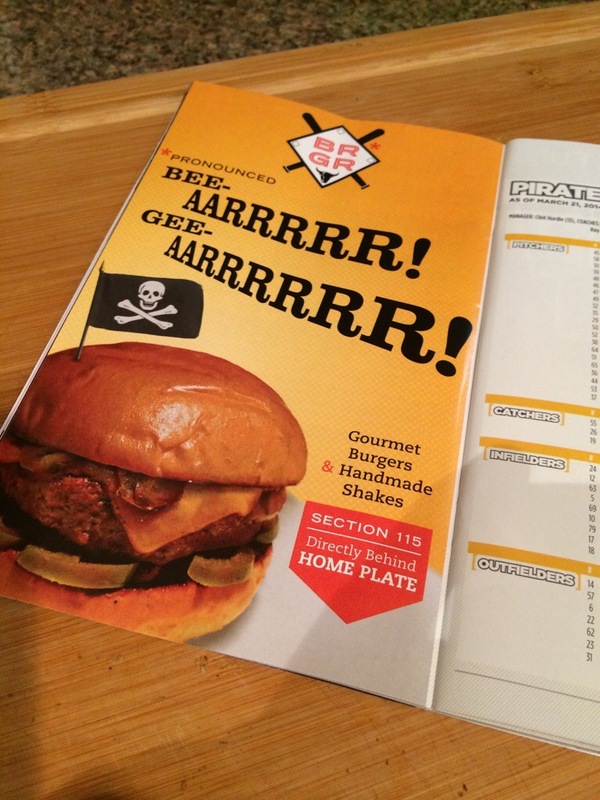 Pricing is elevated from regular BRGR prices as you might expect, but now you can get a locally crafted burger or milkshake while cheering on the Pittsburgh Pirates. I think it is great that Burgatory, BRGR, Nakama, Primanti’s and other local restaurants are gaining exposure through Pittsburgh sporting venues. I just hope that guests realize that going to the restaurant is a much different experience.